We here at T R Ashworth Inc. are ready to handle your Kia repairs and maintenance needs. We're located in Fuquay-Varina, NC, 27526, and our staff is highly trained and knowledgeable about Kia vehicles. Kia, the South Korean automotive company that's famous for its SUVs, compact and efficient sedans and luxury aspirations, is a brand that combines affordability with great style and options. If you're looking for a reliable, affordable shop to service your Kia, T R Ashworth Inc. at Fuquay-Varina, NC is the best choice in the area. At T R Ashworth Inc. our friendly staff wants to help you in any way we can, from answering your questions to scheduling an appointment. You can call us at 919-552-4626. 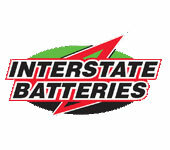 You can also visit our service center in Fuquay-Varina, NC. We can't wait to help you with all your Kia repair and maintenance needs.